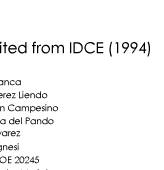 With Yasuko Hasegawa's personal human networks in Thailand and Yu Hasegawa's researches on Asian countries, they chose Thailand as the first country to implement this program which they named as IDCE. 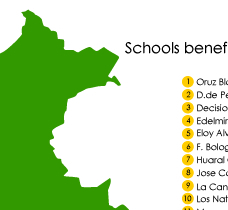 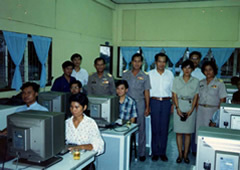 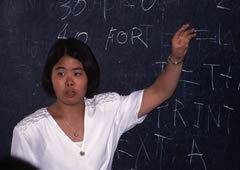 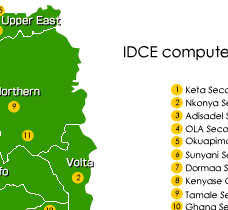 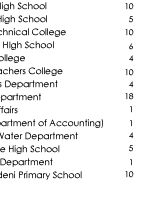 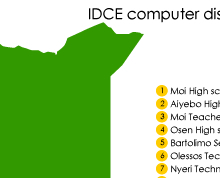 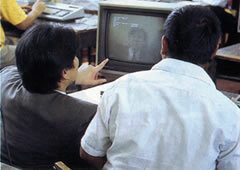 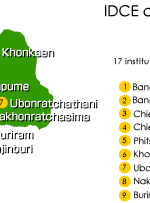 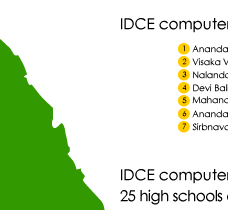 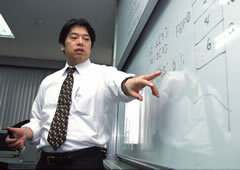 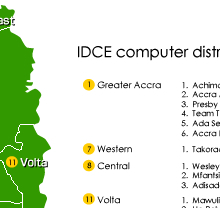 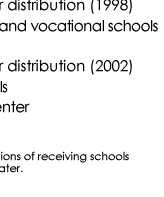 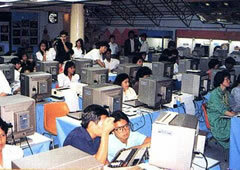 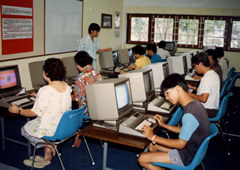 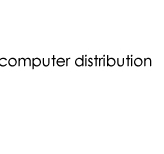 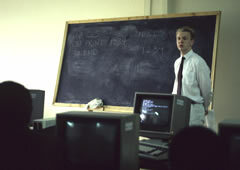 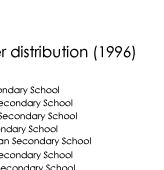 However, IDCE had never taught computer science to Thai-speaking students with no previous experiences in computers. 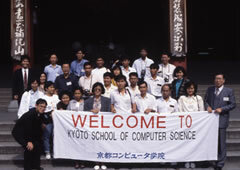 So, as a trial, they decided to invite two Thai college students to KCG, Kyoto, Japan, and offered a two-week workshop at KCG. 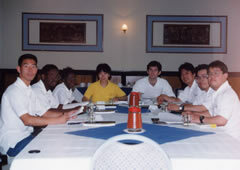 This helped IDCE prepare for the workshop to be held the following year in Thailand. 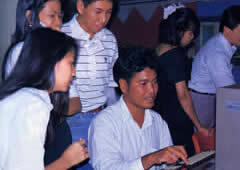 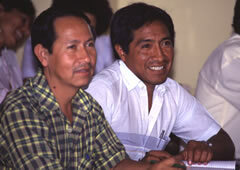 These two students later helped the class in Thailand as assistant instructors. 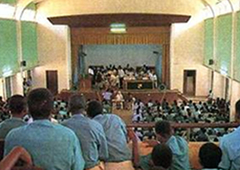 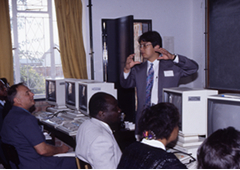 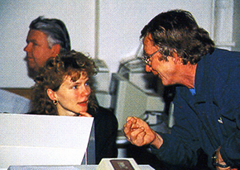 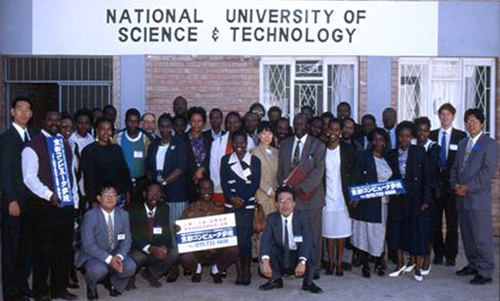 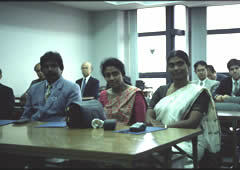 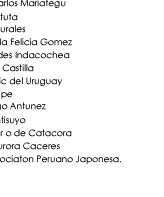 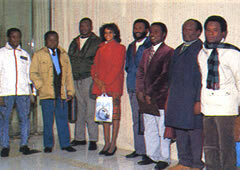 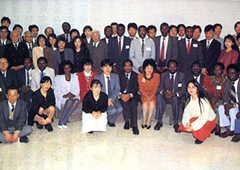 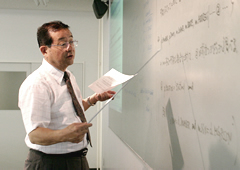 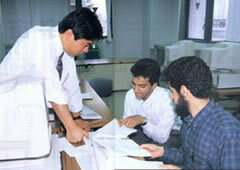 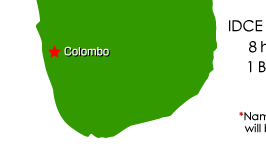 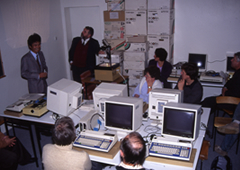 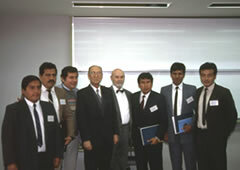 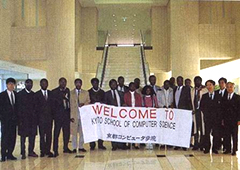 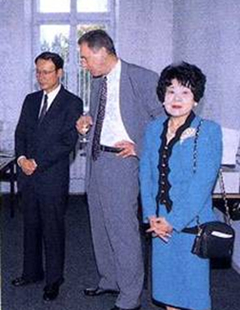 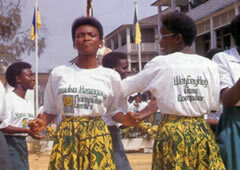 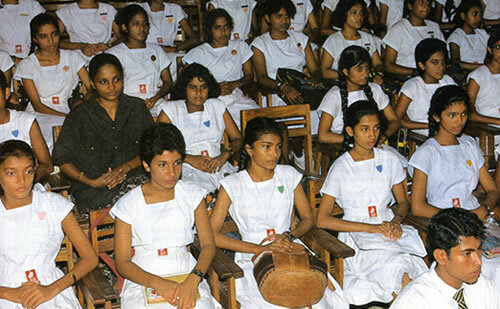 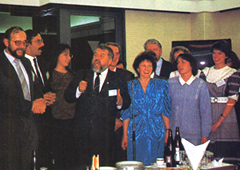 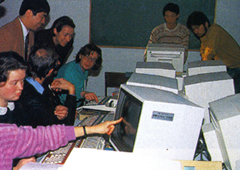 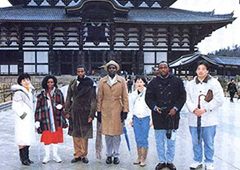 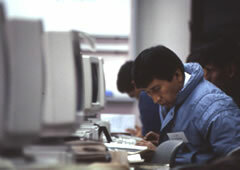 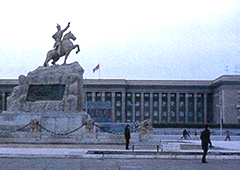 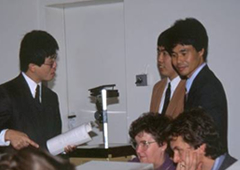 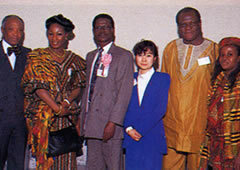 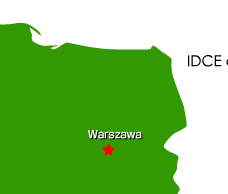 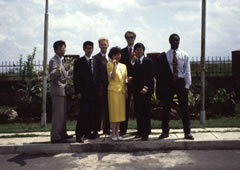 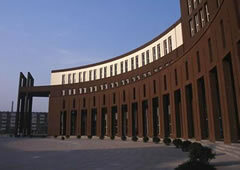 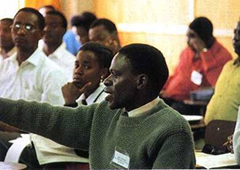 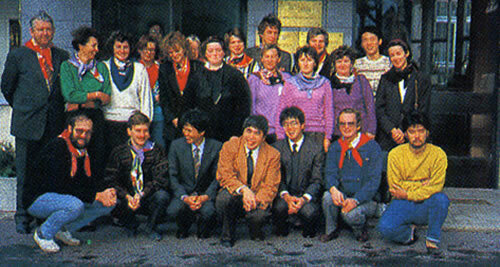 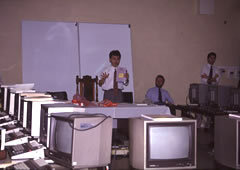 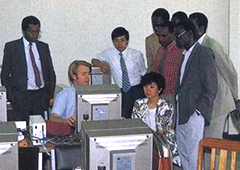 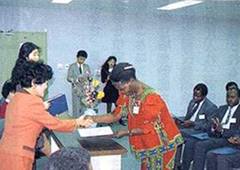 In October, 1990, IDCE invited 22 out of the 40 teacher-students to KCG, Kyoto, Japan for an intermediate computer course. 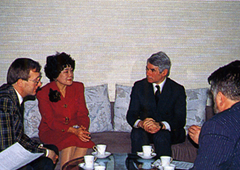 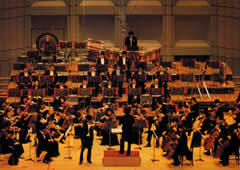 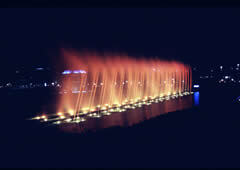 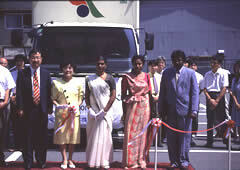 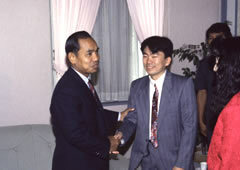 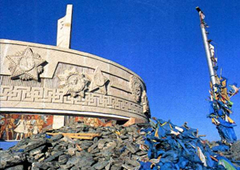 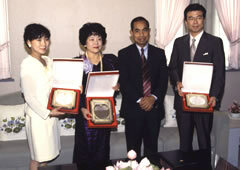 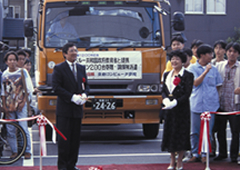 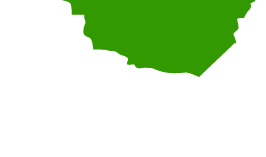 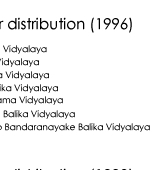 n 1994, the highly successful result of IDCE prompted the Thai government and the Japan International Cooperation Agency (JICA) to form a cooperative arrangement for further development. 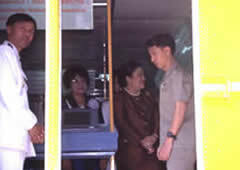 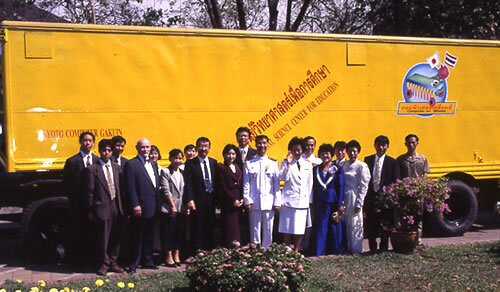 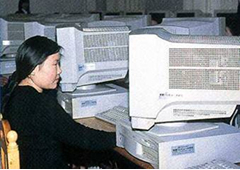 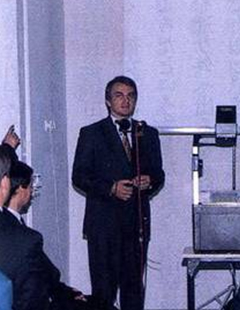 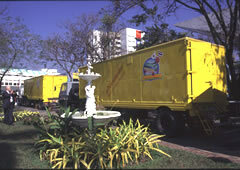 In 1996, with our next donation of thirty, 32-bit portable computers, “Computers on Wheels” was implemented in Thailand; a new program where the National Science Center for Education would carry donated computers in two trailers and visit schools throughout Thailand. 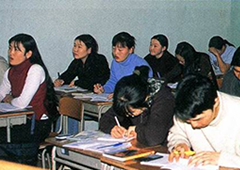 With two of our instructors sent from Japan, we hold the first workshop inside those trailers at one of the indigent areas of the country. 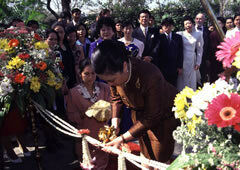 The Princess of Thailand officially opened the program by cutting the tape at the opening ceremony. 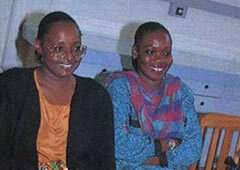 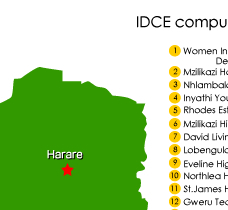 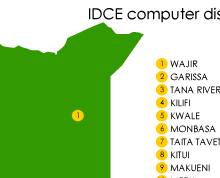 In response to a request from the Ministry of Health in Tanzania, IDCE was initiated in 2004 with the help of IPIL-IPIL NO KAI, a non-governmental organization. 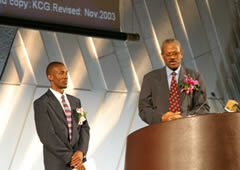 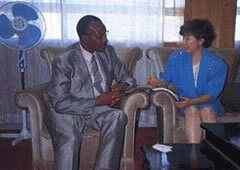 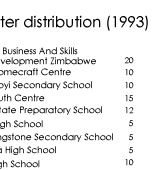 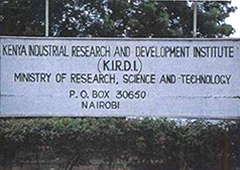 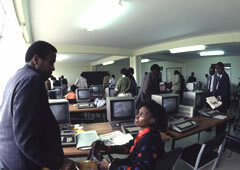 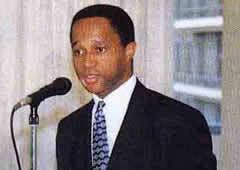 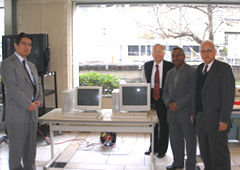 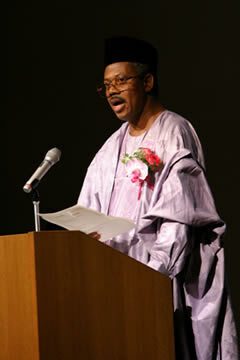 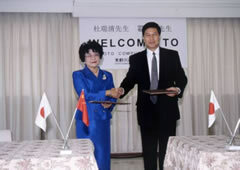 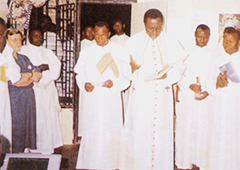 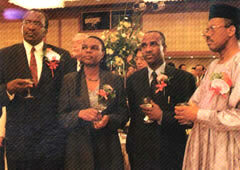 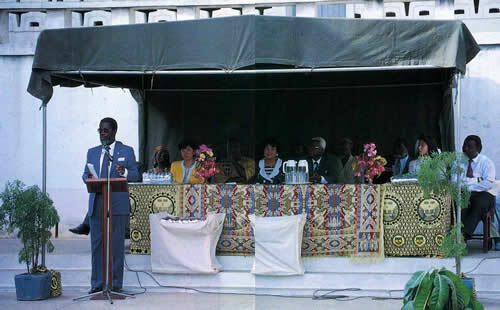 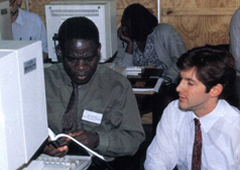 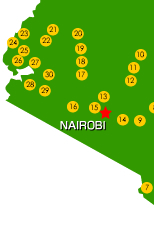 In October, 2004, we donated 20 desktop computers to the Ministry through the Embassy of the United Republic of Tanzania in Japan. 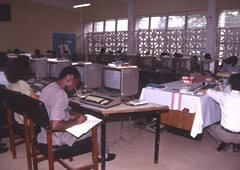 These computers were installed in two Primary Health Care Centers under the jurisdiction of the Ministry and have been widely used for training health professionals and social workers on health care information management. 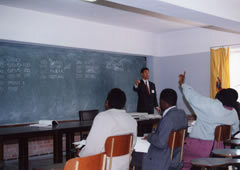 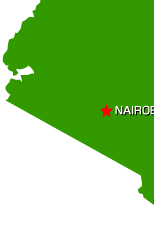 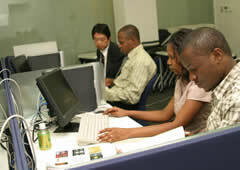 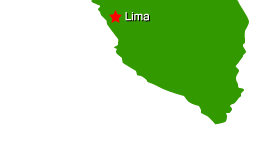 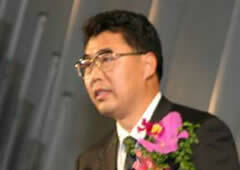 For more than 10 years, with the support of JICA, KCG has been accepting training participants from different countries. 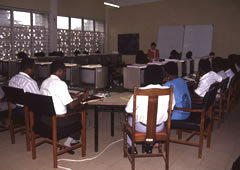 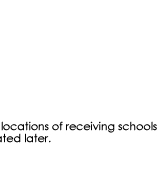 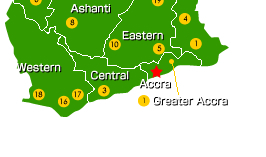 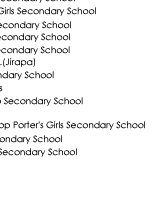 The total number of participants so far is 154. 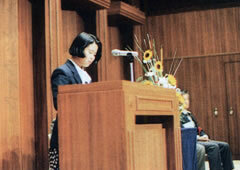 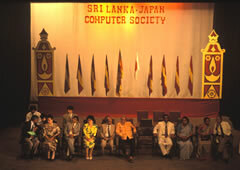 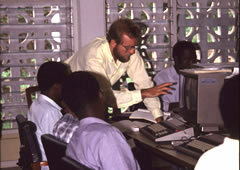 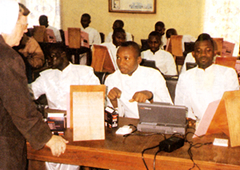 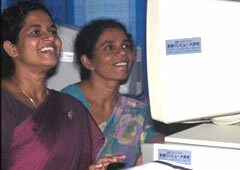 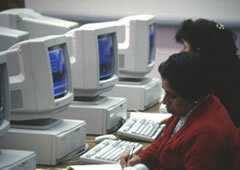 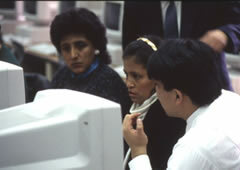 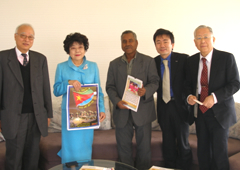 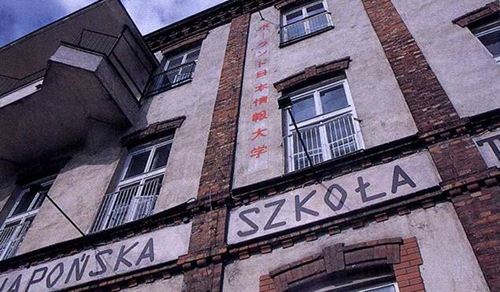 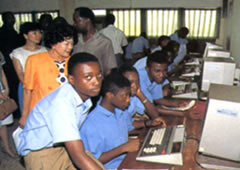 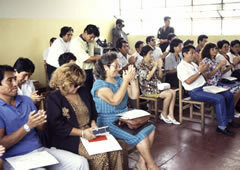 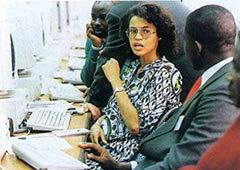 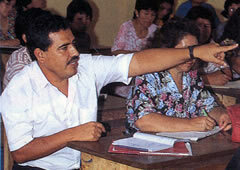 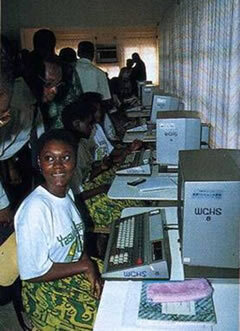 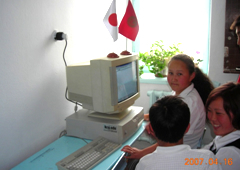 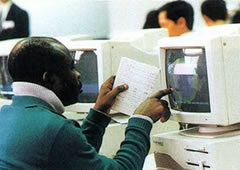 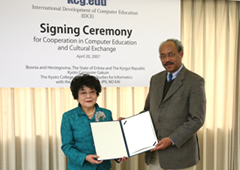 The computers were donated to support the Japanese language programs in those countries.